Heather attended college at Sacred Heart University in Fairfield, CT where she earned a Bachelor of Science degree in Psychology before going on to earn her Doctorate of Physical Therapy. While attending Sacred Heart she fell in love with the New England area and considered moving to Boston after graduating, but ultimately decided to move back to the New Jersey area to be close to family and friends. It was also during this time, she began a lifelong passion of football which led to her becoming an avid fan of the New England Patriots; however, she never lost her love of the New York Yankees or the New York Rangers. Born and raised in New Jersey, Heather grew up actively involved in competitive figure skating, gymnastics, and dance. She originally became interested in physical therapy after suffering an ankle injury that required surgery during her freshman of high school. While she enjoys treating a full spectrum of injuries, she has an affinity for sports related injuries due to her athletic background. 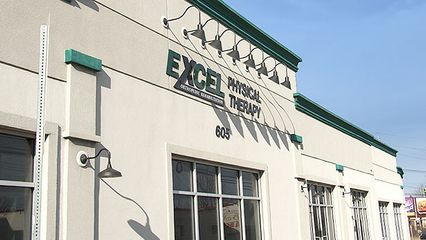 As a physical therapy student, she gained unique clinical experience with the United States Coast Guard and a division of Somerset Medical Center now known as RWJ Sports Physical Therapy & Performance Center. During this time, she began to utilize the Selective Functional Movement Assessment, which she went on to become certified in as well as the Functional Movement Screen. These tools were of interest to her as they utilize a total body approach to injuries and movement, which allows a better understanding of each patient and a better treatment plan to return to prior lifestyle demands. It was also during this time she first worked with patients suffering from sports concussions– an area she’s actively expanding her expertise in. As a marathoner, she enjoys working with endurance athletes including runners. Her experience as a runner as well as further coursework has led her to a great understanding and passion for treating running related injuries. She currently treats in our Hackensack office, which allows her to work with patients from the nearby ice rink continuing her love and knowledge of competitive figure skating in a new way. She is currently pursuing a certification in Mechanical Diagnosis and Therapy from the McKenzie Institute and will be beginning a year-long certification process to become a Certified Spinal Manual Therapist in the spring of 2018. In her leisure time, Heather loves cooking and remaining active through yoga, running, hiking, and any activity that allows her to spend time with her dog, Bailey and new puppy Jax. She enjoys everything the Garden State has to offer and spends most weekends outdoors. She is currently training for the NYC Half Marathon in 2018 and will continue this training towards another marathon in the fall of 2018. She’s an avid traveler who enjoys learning new things and is currently working her way towards fluency in Spanish. John was raised in River Vale, NJ. It was at Pascack Valley High School where John took his first human anatomy course and developed a strong fascination of the human body. This fascination, combined with his proclivity for exercise, evolved into an interest in Physical Therapy that lead John to pursue an accelerated 6-year Doctorate of Physical Therapy program at Ithaca College, also receiving his Bachelor of Science in Health Science. Being the son and brother of school teachers, John realized while at Ithaca College that he also had a talent for teaching. John tutored over 20 students per semester in anatomy and physiology, and upon working in his first clinical internship as part of his physical therapy program, he quickly realized that his teaching skills can help his patients learn how to move better. While immersed in his academic program, John chose to spend time outside of his coursework studying other resources of human movement, including primal patterns of movement - the most “primal” movements related to optimal human function - as well as various weightlifting disciplines. Upon the commencement of John’s doctorate of physical therapy program, John chose to immediately apply his coursework into his own movement practice by undertaking various disciplines, particularly bodybuilding, powerlifting, and yoga. Through the implementation of his coursework into weightlifting and general exercise programs for himself and others at Ithaca College, John developed a valuable understanding of lifestyle modification after physical rehabilitation and assists his patients in developing a proper understanding and practice of human movement while they are being treated in physical therapy. This understanding allows John’s patients to confidently undertake a safe and independent movement practice after their time in physical rehabilitation has been successfully completed, with the purpose of maintaining or further improving their physical function and to live a lifestyle free from functional limitations. John views the role of the physical therapist as much more than just the rehabilitation of a client from injury or surgery; it is also the enhancement patients’ understanding of ideal human movement, whether it be taking a dish out of the cabinet, transferring from the floor to a standing position, bending down to pick up your grandchild, or squatting under the barbell. John views the majority of non-traumatic orthopedic conditions in this country as the result of people simply having never learned how to move properly. For this reason, John enjoys treating a variety of patients across all ranges and injuries due to his desire to improve the public’s understanding of movement in an effort to reduce the incidence of orthopedic injury. John’s style of patient care is designed to empower his patients through improvement of their understanding of proper human movement so that their risk of future orthopedic problems - those related and those seemingly unrelated to their current injury - is mitigated. Simply stated, John sees it as a disservice to view his patients as passive receivers of healthcare. After John’s patients have received his care, they have an understanding of why their injury occurred in the first place and have a better understanding of how to reduce the likelihood of future injuries. Outside of physical therapy, John enjoys weightlifting, fishing, hunting, and practicing carpentry. Areas of study that John also undertakes when time allows include dietetics and philosophy.